Apparently We've All Been Saying "UFO" Wrong? On a similar note, if many people want to treat “UFO” as an initialism instead of an acronym and, thus, say “U-F-O” when they see that string of letters, in our opinion one is on shaky ground if claiming that we’ve all been pronouncing it “wrong”. That said, it is very interesting to note how pronunciations sometimes diverge from what the original creators or people who popularized some term intended. For example, “Dr. Seuss” should actually be pronounced “Dr. Zoy-ce”, but Theodore Geisel got tired of correcting people, so we all now say “Sue-s” instead of how he, Dr. Seuss himself, pronounced it. Similarly, “Wikipedia” should technically be pronounced “we-key-pedia”, not “wick-ee-pedia”, if we’re going to follow the lead of the original creator of the first wiki, Howard Cunningham, when he applied the Hawaiian word (pronounced “we-key”, meaning “quick”) to his bit of web software, the WikiWikiWeb. This brings us to the man of the hour- Edward J. Ruppelt. Dying at the tender age of 37 of a heart attack, his is a name mostly only remembered today by those well versed in the field of ufology. As to why said individuals are familiar with this man, this is largely because of his genuinely fascinating book The Report on Unidentified Flying Objects, which drew from his admirable work on Project Blue Book, a comprehensive set of investigations conducted by the US Air Force into the phenomenon of flying saucers. Which we could tell you now, but as we’ve written a lot of interesting things below, we should probably wait for the reveal until later to make sure you read those things… Or, if you promise to keep reading if we reveal it now, I guess we could do that. It’s “yoo-fo”… “Yoo-fo” is how the person who popularized (and is sometimes credited as coining) “Unidentified Flying Object” instructed people to say the acronymised version. Now, remember your promise- and that lies make baby Jesus cry- and read on! Born in 1923, Ruppelt was a distinguished airman, including earning two theater combat ribbons, five battle stars, three Air Medals, and two Distinguished Flying Crosses during WW2. Following the war, Ruppelt attended college and earned a degree in Aeronautical Engineering, occasionally flying as a navigator with the Air Force Reserves to maintain his status as an airman. Following his graduation in 1951, with the Korean war ongoing, Captain Ruppelt returned to active duty, though this time being assigned to the Air Technical Intelligence Center (ATIC) at Wright-Patterson Air Force Base in Ohio. As Ruppelt would later casually note in his aforementioned book, The Report on Unidentified Flying Objects, in addition to keeping tabs on foreign aircraft and missiles, the ATIC also “had the UFO project”. Initially it was Ruppelt’s job to review reports on Flying Saucers, as they were then called, and present his findings to the Pentagon. You see, since at least 1947, the US government had been studying reports of Flying Saucers as part of Project Sign and, later, Project Grudge. The original intended goal of each of these projects was to discern, first, whether any reports of Flying Saucers were credible and, second, whether they represented a threat to the United States. In doing this, standard intelligence procedures… normally means an unbiased evaluation of intelligence data. But it doesn’t take a great deal of study of the old UFO files to see that standard intelligence procedures were not being followed by Project Grudge. Everything was being evaluated on the premise that UFOs couldn’t exist. No matter what you see or hear, don’t believe it. On top of this, it was eventually discovered by military brass, most notably General Charles Cabell, that those working on Project Grudge often weren’t actually investigating reports coming in that they claimed they were. Instead, in many cases they were simply coming up with debunking explanations off the top of their heads, regardless of how tenuous their explanations were. Airline pilots, military pilots, generals, scientists, and dozens of other people were reporting UFO’s, and in greater detail than in reports of the past. Radars, which were being built for air defense, began to pick up some very unusual targets, thus lending technical corroboration to the unsubstantiated claims of human observers. As a result of the continuing accumulation of more impressive UFO reports, official interest stirred. And this, finally, is where Ruppelt got his chance to shine. Chosen to head up the successor to Project Grudge, Project Blue Book, Ruppelt was hand picked both for his reputation as a gifted organizer, as well as his known open mindedness towards the possibility that at least some of the UFO sightings being reported were of genuine extraterrestrial origin. In short, for once certain military brass wanted the issue to actually be investigated properly to determine if there was any validity to any of it. If there was, the military could then react appropriately. If not, they could at least show they’d done their due diligence in debunking the idea. 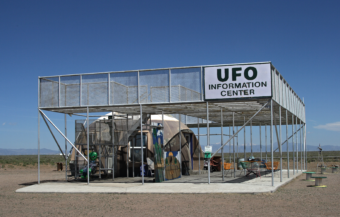 Needless to say, when Ruppelt began Project Blue Book, he was determined that the biases that had thwarted the previous two projects looking into the phenomenon of UFOs would not be present. In fact, he even went so far as to dismiss anyone who seemed to demonstrate any bias on either side of the argument. 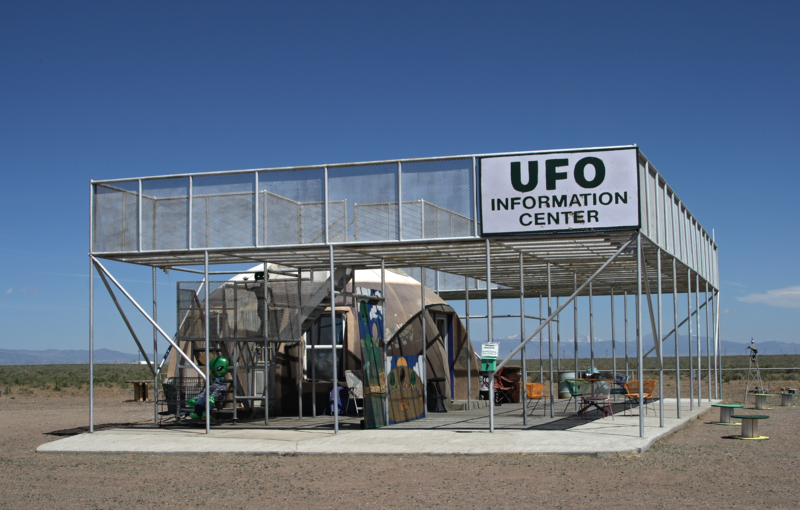 He wanted his people to be able to approach each reported UFO case with an open mind. Obviously the term “flying saucer” is misleading when applied to objects of every conceivable shape and performance. For this reason the military prefers the more general, if less colorful, name: unidentified flying objects. UFO (pronounced Yoo-fo) for short. While he may have popularized (and some claim coined) “Unidentified Flying Object” and the acronym UFO via his various reports and other writings on the subject, his suggestion on how UFO should be spoken was apparently almost universally ignored by the general public who instead decided to treat the three letters as an initialism when they caught whiff of the acronym in the 1950s. In any event, while at the helm of the project, an era generally referred to by ufologists as the “golden age of Project Blue Book“, Ruppelt lamented the fact that his team was perpetually understaffed. He did, however, note that the Air Force brass gave his team “Top Secret security clearance”, allowing them to interview any military personnel they wanted, regardless of rank, as well as just generally bypass any bureaucratic red tape they might have otherwise encountered while trying to get to the bottom of every reported case of a UFO that came in. Not only this, but each U.S. Air Force Base was assigned a Blue Book officer in charge of collecting UFO reports for Ruppelt. As I’m guessing few have time to actually read those many thousands of pages, we’ll just note that of the 12,618 UFO reports investigated, the vast majority were concluded to be things like sightings of naturally occurring phenomenon or experimental aircraft. As for the exceptions, some 701 Unidentified Flying Objects reports (about 5%) remained officially “Unidentified”. (1) no UFO reported, investigated, and evaluated by the Air Force has ever given any indication of threat to our national security;(2) there has been no evidence submitted to or discovered by the Air Force that sightings categorized as “unidentified” represent technological developments or principles beyond the range of present-day scientific knowledge; and(3) there has been no evidence indicating that sightings categorized as “unidentified” are extraterrestrial vehicles. Ruppelt himself seems to have agreed with these sentiments, writing shortly before his death that while he remained open minded about potential extraterrestrial UFOs, the thousands of reports to date he’d investigated personally seemed to demonstrate the idea of extraterrestrial UFOs was, as he put it, a “space age myth”. 1) I never heard “UFO” pronounced until the TV show “UFO” arrived in 1970. As a word, it had a ring to it, but not such that it ever stuck in my brain. It’s always been “U” “F” “O”. 2) Later in life, I became heartily sick of the obsessed wingnuts who believe in such things. I use “flying saucer” for its slightly derogatory aspect. “UFO”, as it seems Ruppelt intended, gives the idea too much scientific credibility. 3) I truly do believe there is intelligent life on other worlds, somewhere in the universe. I just don’t believe such beings would fly all the way to Earth and act like a bunch of drunken frat boys. Seriously? Has no one heard the Graham Parker song “Waiting For The UFOs” from the late Seventies? In the Netherlands we pronounce it correctly, apparently. Probably because it’s an English acronym. We don’t have a Dutch equivalent, only a Dutch translation. Hey loved the post. One thing to mention. I think this whole UFO or “yoofo” disagreement comes from a lack of understanding the difference between an Acronym and an Initialism. Acronyms are typically pronounced as a word and initialism are typically pronounced as the letters. Either way…Will definitely now take to calling them YooFo’s just to get the reactions from people. And then, of course, you must also take into account the variations and vagaries of dialects in a country. The US has an incredible range of these and I have heard it pronounced many different ways over the years. Personally, in my head it’s always been Oo-foh or Yoo-fo, but out loud I tend to say U-F-O. It seems to be a matter of how you want to say it either way. Once, in high school (mid-80’s) I had occasion to participate in a professional evaluation at school in which a word association test was given. Of course you’re supposed to respond with the first item that comes into your head (like dog-cat, car-road, etc.). When told “UFO”, I quickly responded with the term most strongly associated to me, no doubt brought on by daily visual reinforcement from the dash of newer cars at that time… “Unleaded Fuel Only”. I think maybe because he had to use ufo so frequently in verbal communications, he just took to saying it as a word, like in accounting, first-in-first-out (FIFO) is frequenly pronounces as fifo especially when we need to talk more smoothly. The correct term is Unidentified Flying Sausage. It clearly and symbolically says that they have got a sausage flying very low while their military personnel was naked. They are loosers. They spend billions for weapons of mass destruction that mans nothing, that are just useless toys. They say lies. They like traditional energy and profits. Abducted people are war lovers and read the Sacred Scriptures. Not all believers are the same, some are for peace and some allow wars. This is the only truth.